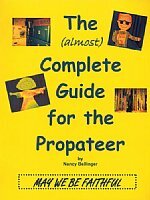 Nancy Bellinger, renowned propateer and workshop leader, has written an incredible prop handbook. 4) Organizing, Storage and Inventorying Props. Detailed instructions for how to make them. * How to make them, mount them, show them and store them.